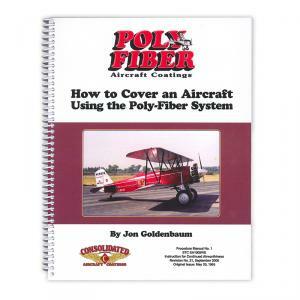 Poly Fiber Manual - Hard Copy NO LONGER AVAILABLE! The manual is no longer available in the print version. It can be downloaded online at: http://www.conaircraft.com/downloadmanuals This manual is the New Testament version of the older manual by Ray Stits. This is the Bible for Classic Restorations, Homebuilders, and Military Restoration. The manual will take you from a bare airframe to an award winning finish. As Ray Stits used to say "We can't package craftsmanship" but, we can tell you how it's supposed to be done. MODELERS TAKE NOTE: There is no better manual to guide you to an exact scale replication.